Safety in a big city is a big deal in any country when it comes to busy traffic and unpredictable motorists. And driving in Mexico is no exception. In fact, city traffic can be more stressful because an automobile accident is viewed as a felony. It’s critical that you buy Mexican car insurance at MexicanInsuranceStore.com before you cross the border because the intensity can often be greatest in the border zone. Car insurance for Mexico from MexicanInsuranceStore.com can be purchased in minutes so that you can worry about other important issues. Just buy and print. One issue that you may notice as you navigate downtown districts of cities like Tijuana is the narrow streets. While the streets are navigable, it’s important to be attentive as you drive to limit your risk of being sideswiped. Rush hours are particularly stressful, and it may be better to explore these areas in the early part of the day. If you have trouble, you’ll find lots of motorists in the area to help. However, even minor accidents will likely draw the attention of authorities. Up-to-date car insurance for Mexico from MexicanInsuranceStore.com is important for mitigating such issues. Mexican car insurance at MexicanInsuranceStore.com is required! Unexpected speed bumps can create unfortunate situations as well. Large speed bumps may be located in neighborhoods, especially in high-end districts. You’ll also find them on more rustic roads in smaller colonias within a city. Be observant, watching for a sign indicating that topes are nearby. It’s helpful to note that when you buy car insurance for Mexico from MexicanInsuranceStore.com, your policy options include roadside support at no extra cost. Even if you take a speed bump at lightning speed during a slow time, you can get help with towing if necessary. It’s worth comparing both liability and full coverage Mexican car insurance at MexicanInsuranceStore.com, as liability-only coverage doesn’t address damage to your car. Traffic styles can vary greatly, but motorists tend to be more assertive in larger cities, making it important to practice defensive driving during your travels in Mexican cities. 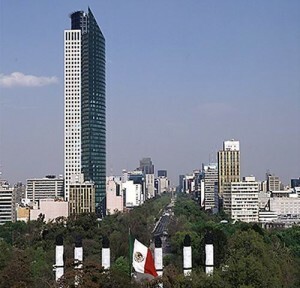 Your car insurance for Mexico from MexicanInsuranceStore.com may not come into play if you are able to watch carefully. However, in the event of a problem, you will appreciate being covered by a quality policy. You’ll encounter heavy traffic and have to deal with all kinds of motorists when driving on busy Mexican cities. This is why you should consider buying car insurance for the Mexico in such situations because its often unpredictable.